In select locations, Canadian restaurant chain Boston Pizza has started adding 3D-printed chairs to surround that little plastic pizza-saver, aka the pizza table. They call it the Pizza Patio Set. 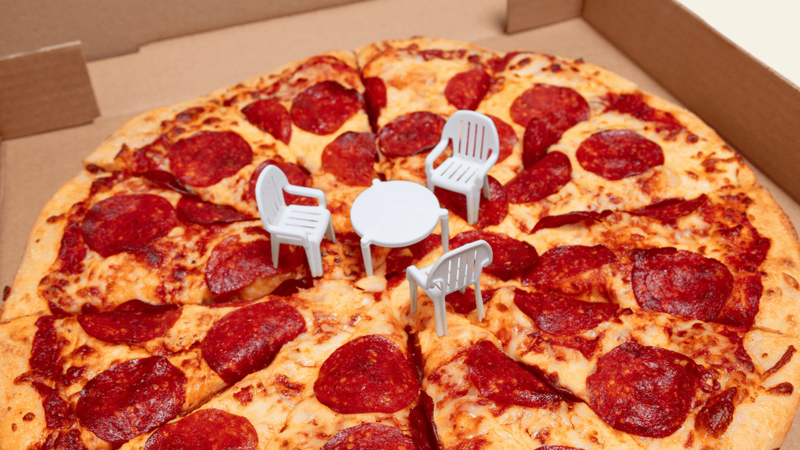 If you are not in their delivery zone but do have access to a 3D printer, you can create your own tiny pizza chairs. View this post on Instagram A post shared by Jason Weisberger (@jlw) on Nov 18, 2018 at 1:39pm PST Peanut butter and jelly on a warm pizza crust is pretty darn incredible. The folks at FliteTest like to see of they can make all sorts of things airworthy, and they succeed in turning a Little Caesar’s box into a working airplane.